Below: Smaller gold buttons for the sleeves... DIY is a success, I love it! Below: or shoulders of knitwear... GOLD is the way to go! The recent Fall Winter 2010 fashion week for both men and women got me noticing the influx of military officer style jackets and outerwear. Most of these gorgeous pieces often spot bling-out gold buttons that gives a sense of decadence amidst the 'tough-up' theme of military. I was first wowed by the long navy wool coat from Burberry Prorsum that features decorative gold buttons on the sleeves or shoulders of coats and knitwear. Then Emmanualle Alt wore a navy double breasted blazer from Balmain during the recent Paris Fashion Week. The smart colour combination of gold and navy left a huge impression on me. 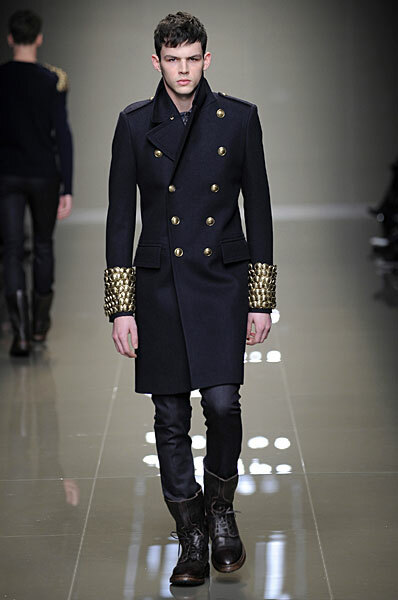 The final draw that motivated me to want gold buttons came from viewing Balmain's Fall Winter 2010 womenwear video. 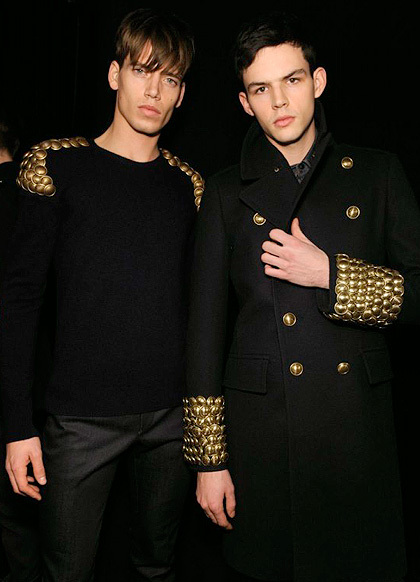 The Fall Winter 2010 Balmain women's collection saw plenty of gold buttons again on the jackets, and I know I must have gold buttons as soon as Christophe Decarnin walked out to take a bow in his men's version of the gold button jacket. 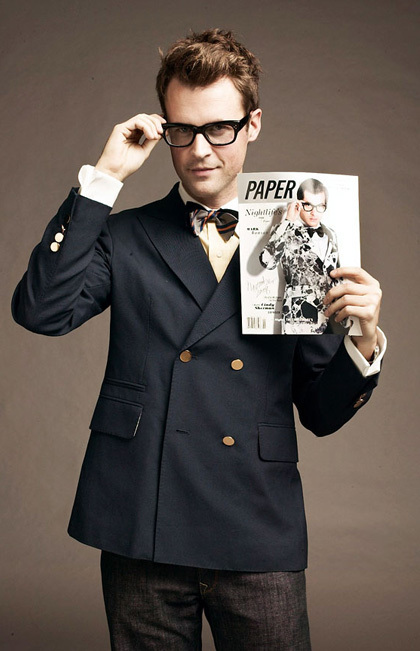 I want a gold button navy blazer! Today I sew on the buttons...and I love the end result! My Paul and Joe Blazer is looking fabulous now! I love the contrast of the gold against the navy blue. The gold somehow made the blazer come alive, a boost of glamour and a navy captain feel. Best part of it all, the DIY costs almost nothing, buttons are just SGD$4.80. Minimum cost and effort but maximum effect. Love DIY! Congrats. In a few moment u'll be a designer too. Where is the chinatown shop selling the buttons? It's on the 3rd level of the building that houses the hawker centre... can't remember the building name. But it is next to People's Park Complex. Go by escalator and you can see the shop straight ahead. Sells lots of buttons and ribbons. Fantastic idea. But, it does beg the question: How creative is Christophe Decarnin if the look can be replicated so easily? Oh how cool! 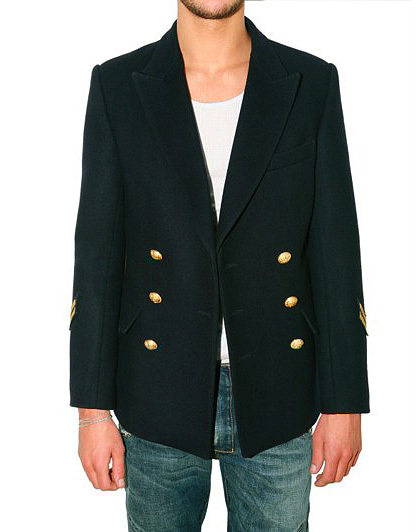 I've been thinking about getting the Balmain for fall...should I get the blazer or the peacoat? I love those Balmain boots! That should answer. Balmain like Hérmes is not about creativity. It's more about the concept of luxury and craftsmanship. Both brands do it in their own way that reflects their brand personality.